Good morning folks. Today I’m sharing with you how I’ve come to have Canon Radio 580 EXii flashes. I’m often asked what I use for lighting in my food photography. The first lights I bought were 4 Canon 580 EXii. If I’m honest, I didn’t really understand them but I felt I needed them. There was a lot of that back then. Buying kit because I thought I needed x,y & z to make my business work. It was just me in a bedroom, a computer, the internet and every bloody opinion known to man or beast. Hours and years of practice have led to me having a decent understanding of light and what I can achieve with my Canon 580 EXii flash. Yes, there are new flashes, but as my friend Brian says, batteries go in one end, the light comes out the other. That’s about it. They had some limitations with their optical triggering, and today there’s a whole bunch of options to turn the Canon flash into radio 580 EXii, pretty much like the new ones. I’ll admit, there’s also a part of me which wants to get my money’s worth out of them after they sat around for a number of years with little to do. There’s no point having gear sitting around if you don’t use it. There are a number of ways to upgrade your optical speedlites to, in my case, radio 580 EXii. I only looked into a few and of course what I use today. I know there are more options, but frankly, I’m only interested in what I use and whether it continues to work for me. I have a bad habit of researching to death and taking no action, or I should say, used to. I’d looked into the Phottix and Pocket Wizard systems for a couple of years and wasn’t convinced it was the way for me. Because I didn’t feel I needed them for the work I was doing at the time. The cost of both systems is pretty significant and unless I absolutely had to, I’d manage just fine with my optical trigger system. This said I have always read great reviews of both products. The Yongnuo YN-622-C got my interest but other shooters I know had mixed feelings about them. I don’t have patience with gear, it just has to work. My approach is often to invest in something great when I know it’ll make some big improvements to my working setup. Or if I’m not too sure I’ll get a cheap option and see how I get on with it, if I don’t like it I can sell with little impact on my business. When photography is a hobby, you can buy kit for enjoyment. When it’s a business, there’s no place for showing off with flashy gear. It has to do a job. Your business has to be profitable, or it’s still a hobby. I went for the Yongnuo YN-E3-RT and YN-E3-RX, the cheap option, but also after reading and hearing plenty of good reviews, which stated it just works. They’ve basically directly copied Canon on the transmitter, with just about everything except build quality. They do feel a bit cheap and I’ve heard, from a couple of sources, that one drop can render them useless. They’re not weatherproof either. So I’ll be careful 😉 You get what you pay for, right? 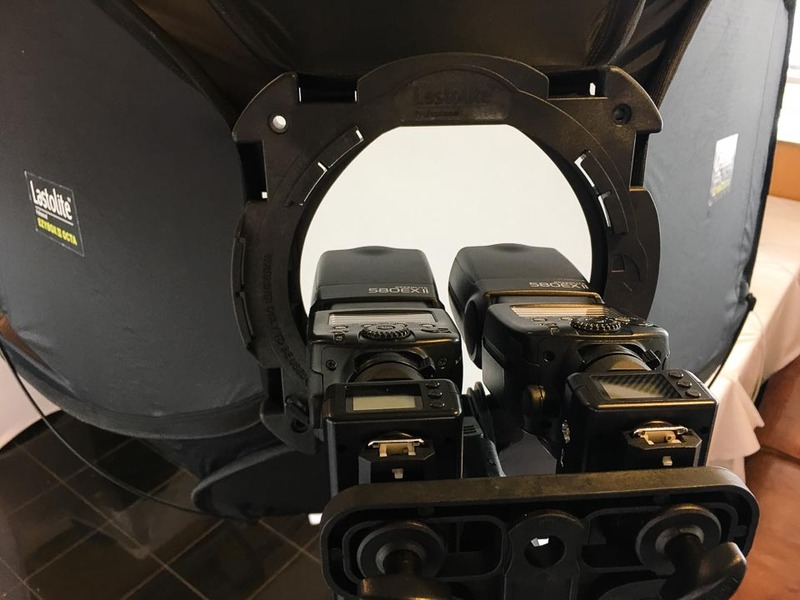 To keep it simple, the way the 580 EXii worked in optical trigger mode, they now work with radio, in ETTL, Manual, Ratios and HSS. 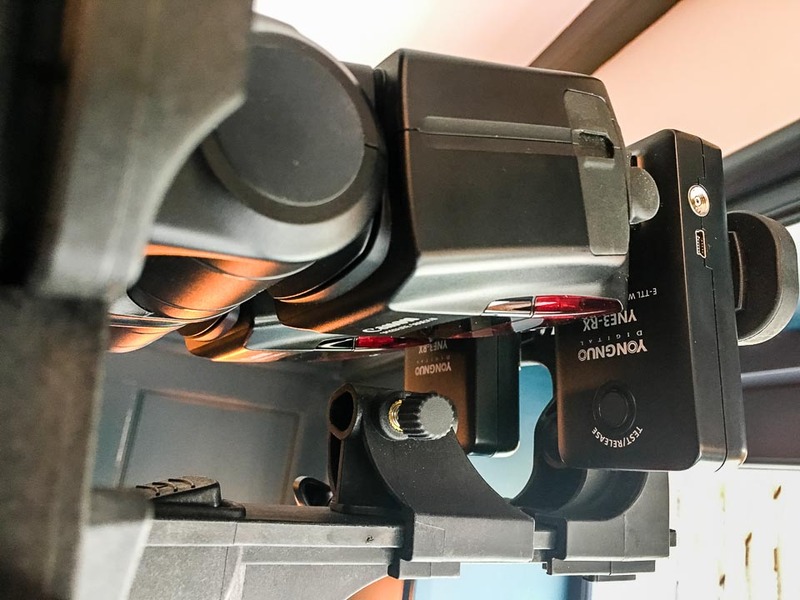 The YN-E3-RT is capable of 5 groups to match the latest Canon cameras and speedlites, so if and when you upgrade, the trigger will continue to work and with greater functionality with the newer Canon gear. 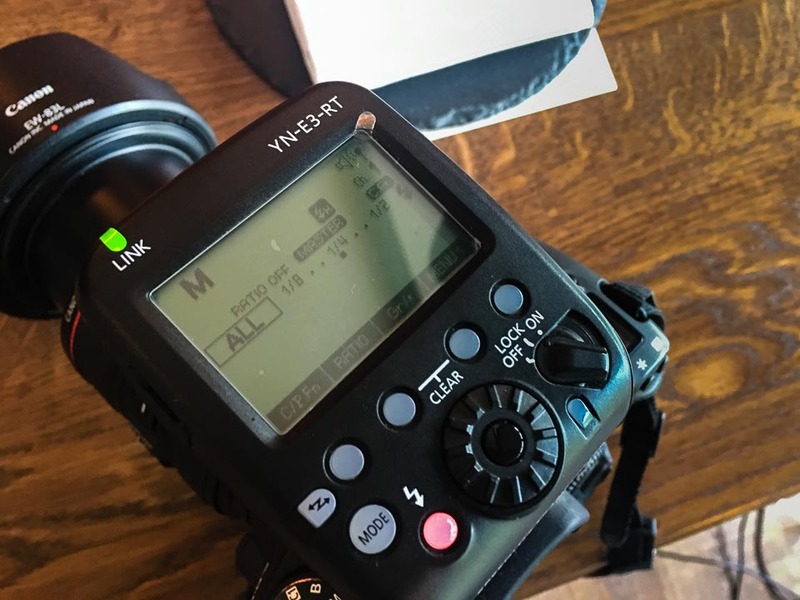 You can also use the YN-E3-RX receivers to be a “Fire Now” trigger for larger strobes if you needed to mix it up. They come with cables which plug into studio style strobes. I just wanted to share with you some more affordable ways to bring your older Speedlites into the convenient world of radio transmission. Going out and buying new gear is fun but learning how to light with kit you may already have is better. I’ll be recording a short video on how I use the Yongnuo radio triggers with my Canon radio 580 EXii’s which is something I’ll be doing much more often. If you have any subjects you’d like me to show you how I tackle it, please leave a comment below. That’s all for now but I hope to see you back here very soon. Happy shooting.